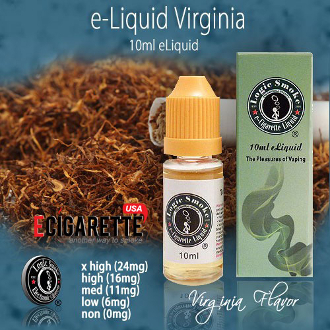 Our Virginia e liquid from Logic Smoke is a wonderful, smooth Virginia style tobacco flavor that is a customer favorite. It's smoothness will surprise you and the flavor will satisfy your taste buds. Pick up a bottle of Logic Smoke Virginia e liquid today and satisfy your craving for good tobacco flavored e-liquid.